Today, am going to be sharing to all fast and quick Tariff plan migration codes for the four major active Telecommunication Networks in Nigeria, which are MTN, AIrtel, GLO and Etisalat service providers. With the activation codes for these various Network providers, you can easily join any tariff plan or Data bundle of your choice, having the terms and conditions applied. As the title of the post stated, they are actually the Top Best Tariff plans currently active in 2017, as they offer you cheaper rate in making free unlimited calls in kobo per second and also sending of SMS at a very low cost. Interesting part of all the tariff plans am sharing with you, from these major and most active networks in Nigeria, is that, they are such that offers free call bonus and Data bonus frequent times, and also enable customers using their Network, make both Local and International calls at a very low cost rate. Although, they differ from each other, as every network has its own service according to how it was programmed to function. In as much as, Social media messaging chat apps with call feature, (like Whatsapp Voice call, Facebook voice call, Telegram voice call, Snapchats, Instagram, Twitter, Skype etc) are trying to take over voice call and even video call now, these telecom calls from these various networks still remain the best, no matter how social chat apps are trying to take over. Without bugging you with much write up here, you should know that interaction is very important in human life especially, when you have friends, loved ones which can be your family members and that of your well-wishers that you can always talk to. So, in other words, calling them when you are not around makes them feel better, as if you are very close to where they are. And in order to keep such caring and romantic thing you got with them moving, you need to migrate to better tariff plan that will suit your prolong talk. So having thought of that, I decided to dig deep in various telecom networks just to let you know the most important tariff plan that would keep you talk for so long when you recharge a lesser amount of airtime or credit on your mobile phone number. Below are the various short USSD codes For MTN, AIRTEL, GLO and Etisalat Tariff plans in Nigeria for the year 2017 and next coming year 2018. For those that make use of data bundle for browsing more than making voice calls, here is also your chance of selecting the best tariff plan that suits the particular network you are subscribing for its data bundle service. How To Use Call Waiting, Call Holding And Call Divert On MTN Network. How To Use MTN Free Call Me Back Service When Out Of Airtime. >> Currently, BetaTalk is giving out 250% bonus of airtime on every recharge you make. For more details on the call rate, SMS rate and other valued services attached to the tariff plan click here. >> Or you can join the plan by sending BT to 131 as a text message. >> For more details on MTN Pulse local call rate and international call rate with SMS price, click here. >> To subscribe to the bundle plan, just dial *131*2# and select the preferred bundle type, whether XtraTalk or XtraData. >> Activate this plan by dialing *123*2# > and then reply 3 to select Xtra Special plan. For more details about the plan click here. >> MTN StartPack happens to be a bundle plan for newly registered customers to MTN Network. It is regarded as a special tariff plan to welcome New MTN customers that just joined the service. The plan offers new users 500% bonus of EVERY recharge ranging from N100 and above. >> Migration to this plan is done automatically by MTN once you are done with activating your SIM via registration. Once you are migrated, you will stand a chance to get other extra bonuses free. >> This bundle plan is almost for the entire prepaid and postpaid tariff plan, as it doubles any airtime recharge when use this code *888*PIN# or via VTU to recharge your line. All you need to do is to enter the card digit numbers or recharge Pin where you saw PIN in the code and then send with call button. Then MTN will double your recharge. For MTN Packages, MTN Prestige, and MTN TrueTalk migration codes, with full details about the above listed tariff plans, and some other services like: MTN Data Plans, MTN Goodybag Social, Blackberry from MTN, MTN Data Settings, 4G LTE etc. 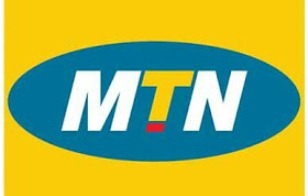 Then visit MTN website at www.mtnonline.com and check them out. 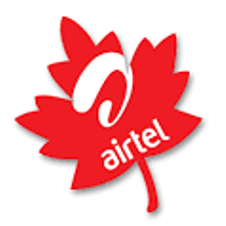 This Airtel smartCONNECT prepaid plan, is a default bonus plan meant for newly registered Customers on Airtel network. A new customer gets bonus offers on every recharge just like StartPack. >> Finally, recharge your line and start enjoying free smartCONNECT bonuses. >> Go to your message box and send “YES” to 318. >> To migrate to Airtel smartVALUE plan for free of charge, dial this short USSD code *314#. >> Airtel Premier Connect subscription can be subscribed for through SMS, USSD codes or USSD Menu. Subscribing through Menu Dial *254# and then follow the menu display to select desired bundle value. >>To check Airtel Premier Connect available bundle value, just dial *253#. >> To migrate to this plan, simply dial this code; *315#. >> Migrate to smartTRYBE by dialing *312#. >> To Opt in to SmartTRYBE Junio plan, simply dial this code *317# on your phone having your Airtel line already inserted. >> To start enjoying Glo Bounce services from Glo Network, then dial this code *170*4# to activate the plan for free. >> Here you need to dial *303# and choose the bundle plan you want. >> To check Talk Special bonus balance on your SIM, dial *606#. >> You can also transfer Gift data by dialing *606# and then follow prompt to transfer data to other Glo customers. >> Also, for the New Glo Twin Bash Package, you can recharge with this code *223*PIN# or this *303# for the bundle package. >> Activate by dialing *170*5#. >> To migrate, just dial *100*9*2#. >> Join and enjoy amazing offer from this plan, dial *211# to activate. 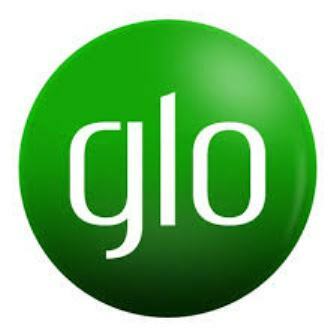 >> Glo Free Tomorrow actually gives you back DOUBLE of your today usage the next day. So in other words, whatever you use today in Glo Free Tomorrow plan, you get it DOUBLE back FREE TOMORROW without any conditions attached. >> Now dial this code *300# on your phone to get back Double of your daily usage, the next day. To deactivate or cancel or even disable with unsubscribe from any of the tariff plan, then read on to carry out that successfully. 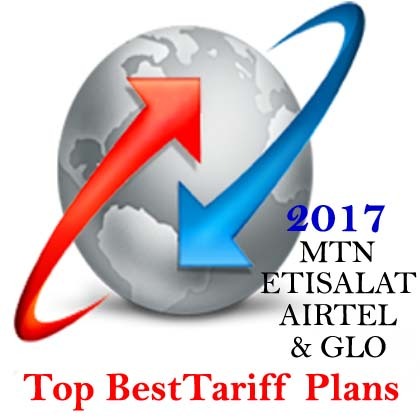 BEST LIST OF TOP 2017 ETISALAT TARIFF PLANS WITH UNLIMITED VOICE CALLs AND DATA BUNDLE PACKAGES. >> The subscription of Easystarter is very straight forwardnas well as other tariff plans in Etisalat network. >> To migrate to Easystarter Tariff Plan, just dial 200 and press 1 on a new etisalat sim or from an existing line by dialing *244*2#. >> To subscribe for easycliq right from a new SIM, then dial , dial 200 and press 2 or you dial this *244*1#. >> For subscription to one click-one tune, then dial this *273*Your friend’s number#. >> To migrate to cliq-4-d-day on your etisalat line, simply dial *330*1#. To opt out from the service, dial *330*2#. >> Code to migrate to is *620*1# or send 1 to 620 to migrate to easylife complete. The migration is free of charge. >> Dial this *344*bundle value# replacing bundle value to exact bundle you want. 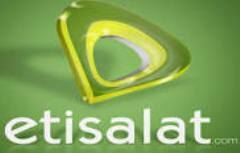 >> You can get the easyflex bundle plan from the official Etisalat website below. >> To opt out from easyflex bundle plans, dial *344*0# or you can Send "OFF" to "344"
>> To activate talkzone tariff on your Etisalat SIM, dial *244*8#. >> To check the appropriate tariff for the area you are calling, simply dial *551#. >> If you are a new customer or you just registered your Etisalat SIM newly, then to migrate to Cliqlite Tariff Plan, dial 200 and select option 5. >> For old customers or existing customers, dial *244*10#. Ensure to share this post. Thank you.